VoIP gives any business the ability to make phone calls via the IP network instead of through the public switched telephone networks or PTSN. 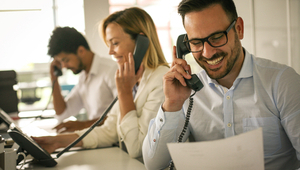 Regardless of the type, nature, or size of your business, switching to VoIP over wireless can make communication easier, more efficient, and enriched by the availability of new features like call forwarding, call holding, and call ID. Opting for VoIP over wireless instead of a wired network has a number of advantages. However, it can also lead to some issues if proper care is not taken during installation. Here’s a look at some of the things that you need to know about wireless VoIP (which is also referred to as W-VoIP). IP phones that function via Wifi can be used as cell phone alternatives. 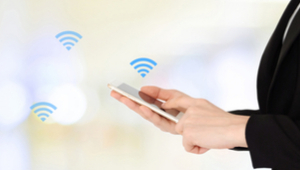 If you are going to connect to a Wifi network for your day-to-day activities, then it makes sense to use the same connection to place VoIP calls without incurring any extra cost. Obviously, you will have to pay the service fee to your VoIP vendor but it’s normally a lot less than what most cellular services charge. Additionally, with a VoIP system like the one offered by 8×8, you have the chance to make unlimited free international calls, which is also something that cellular vendors don’t provide. Worldwide Interoperability for Microwave Access or WiMAX is a microwave-based wireless technology that’s similar to Wifi in the sense that it can be used to connect to the internet but has a longer range. It’s based on the IEEE 802.16 standards. With a transmission span of over 46 miles (75 kilometers), it can be used to provide internet access over broadband to a huge area. The practical throughputs of WiMAX can go as high as 70Mbps, and this makes it more than capable of supporting VoIP and extending its reach. Extended perimeter of connectivity and better propagation speeds give VoIP-over-WiMAX superiority over VoIP-over-Wifi as it can accommodate more users and provide better bandwidth efficiency. 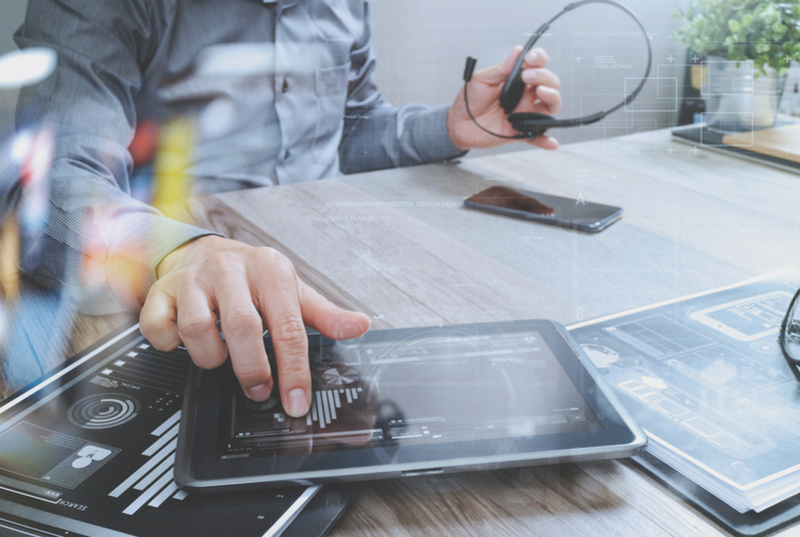 When VoIP is used over a wireless LAN connection, it creates a whole new set of possibilities and makes things a lot easier and more efficient. Whether it’s a corporation, academic campus, restaurant, hospital, or factory, internal calling is made smoother by using VoIP. Users will have the ability to communicate at will from everywhere and enjoy features like voicemail and caller ID. Making native long distance or international calls using the local internet connection and a VoIP account will not cost extra and can be made more often. When information is sent on a network, it’s broken down into packets. Each packet contains part of the information and the sequence and integrity of the packets need to be maintained at all times, more so if the application is real-time, like VoIP. VoIP packets are significantly sensitive and can be lost during transit. This can happen if the network signals are weak, because of interference from devices operating on the same frequency, or because of range limitations. In order for your network to run VoIP smoothly while maintaining reliable call quality, your network should have enough bandwidth and should be reliable. Because of the fact that users are normally used to calling without experiencing any dropped calls, bad call quality, or missing dial-tones, they have higher expectations of their phone systems than their computers. It’s thereby imperative that your VoIP-running network doesn’t get sacrificed, not even for a few seconds. How do we put this simply? Don’t run VoIP over the same connection on which most of your daily internet traffic flows. Even the slightest delay or disruptions can lead to call quality degradation so you don’t want your voice packets competing with your data packets on a wireless network. If however, you want to use the same network regardless of the possible dangers, you should ensure that you incorporate wholesale voice trends features that give VoIP packets higher priority compared to the other traffic. 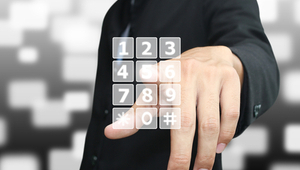 When it comes to VoIP, security is always a top concern. When you send your telephone calls over a publicly accessible IP network instead of the closed telecommunication networks, you are obviously faced with a greater number of risks. Add wireless to the mix, and the risks increase a lot more. When your packets travel via airwaves and not through wired cables, interception becomes a lot easier. In addition, some of the most famous VoIP protocols like SIP have exploitable vulnerabilities of their own. That’s why the VoIP over wireless network calls get set through should have high levels of security maintained at all times. LinkSys, Netgear, and D-Link are some of the most well-known networking equipment vendors that target the consumer demographic and their IP phones have long been capable of working with their wireless routers. The DPH-540 IP phone by D-Link has support for all VoIP over wireless providers that use SIP, and it works effortlessly with Wifi networks. It also has support for WPA2, WPA and WEP encryption which is a very useful feature to have. Similarly, vendors like Cisco that prepare corporate-level hardware also offer phones that can function with IP PBX systems. The Unified wireless IP phone 7920 by Cisco supports EAP-fast authentication (which increases the level of security) and can work with Cisco’s Unified communication manager. Periodic analysis of your VoIP network should be carried out to eliminate any possible nuances or disruptions. In some cases, routine checks can prevent companies from falling a prey to digital counterfeit attacks. Routine checks can be carried out by an in-house team or by VoIP service providers such as Vonage or RingCentral. They should include vulnerability scanning and capturing and reviewing voice traffic etc. A VoIP firewall goes a long way in ensuring that access privileges are granted only to authorized personnel and in case, there is a foreign interference, it’s blocked and logged. Speed, load and reliability tests should also be run from time to time to ensure the network’s readiness to support VoIP. While VoIP over wireless opens the door to some exciting new possibilities and provides some exciting features like call waiting, voicemail and caller ID, it can also lead to some complications relating to security and call quality. However, it’s safe to say that if the proper groundwork is done before installation and if regular maintenance is carried out, users can benefit from W-VoIP without facing any of its potential drawbacks. Copywriter and editor, Maab Saleem has been writing for almost a decade now. Be it technical content about the most cumbersome of technological topics or just a few lines of copy explaining a newly launched product, Maab knows precisely how to connect words in the perfect manner. When he is not sharing his literary ingenuity with the rest of the world, he likes to watch, play and critique on football.